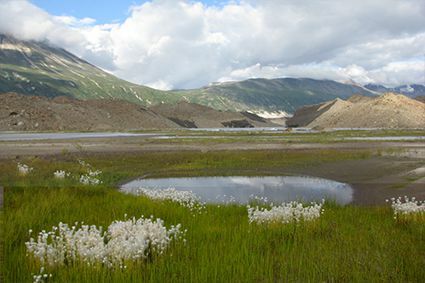 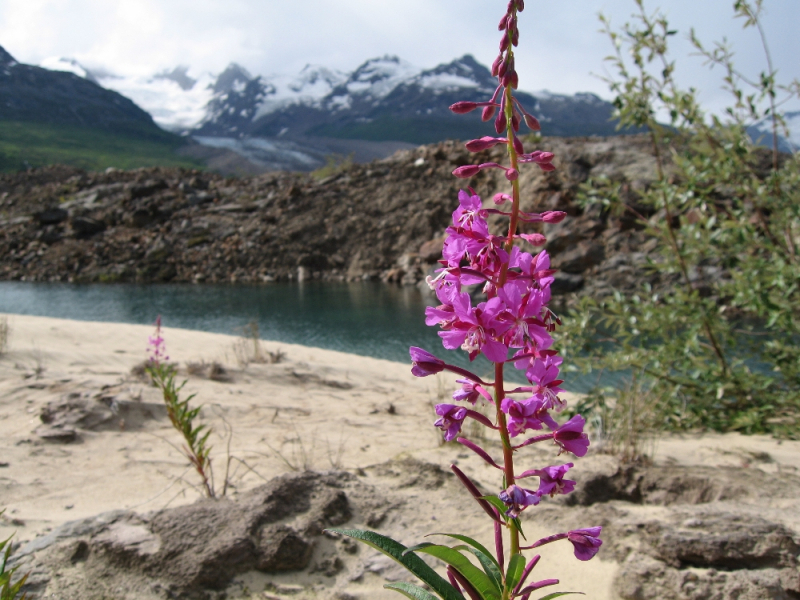 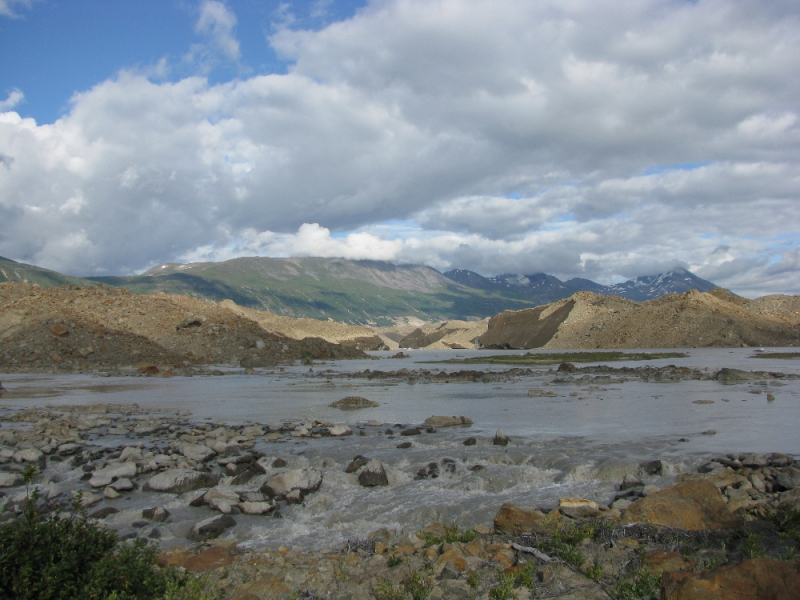 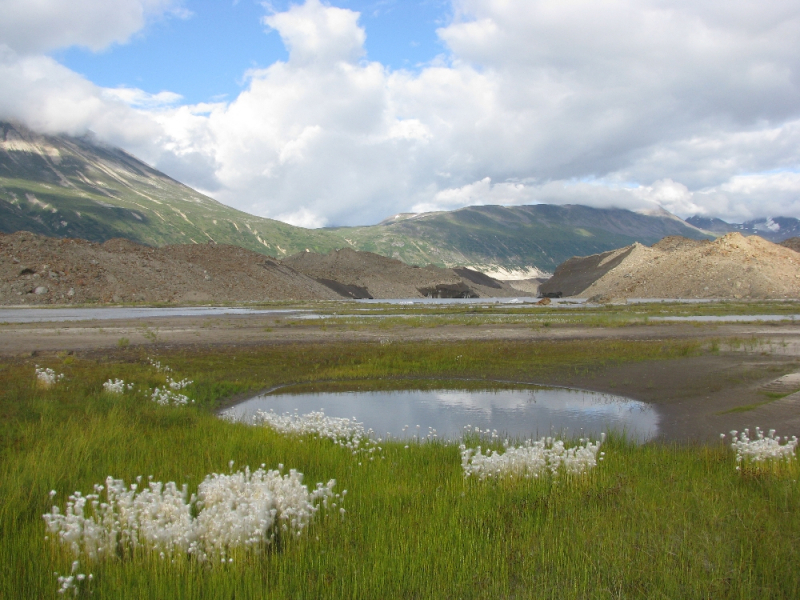 The Fan Glacier is found deep in the Chugach Mountains to the south of McCarthy. 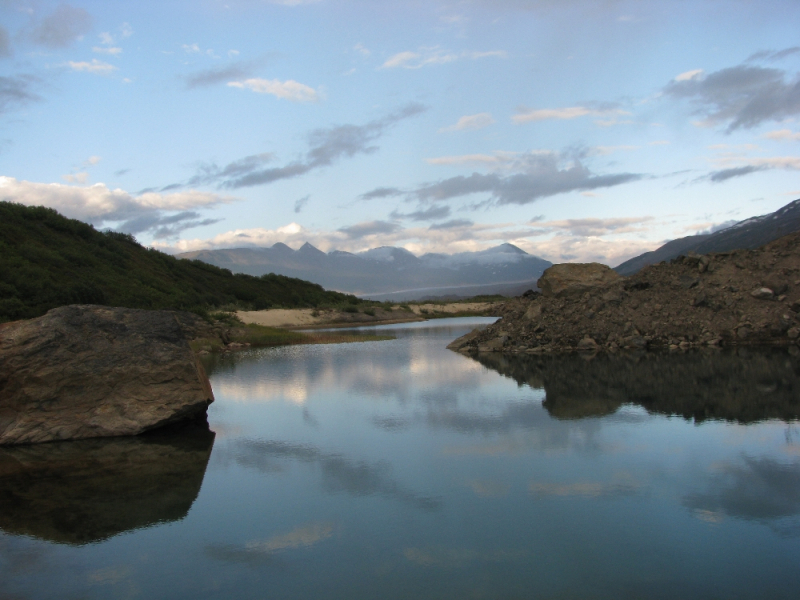 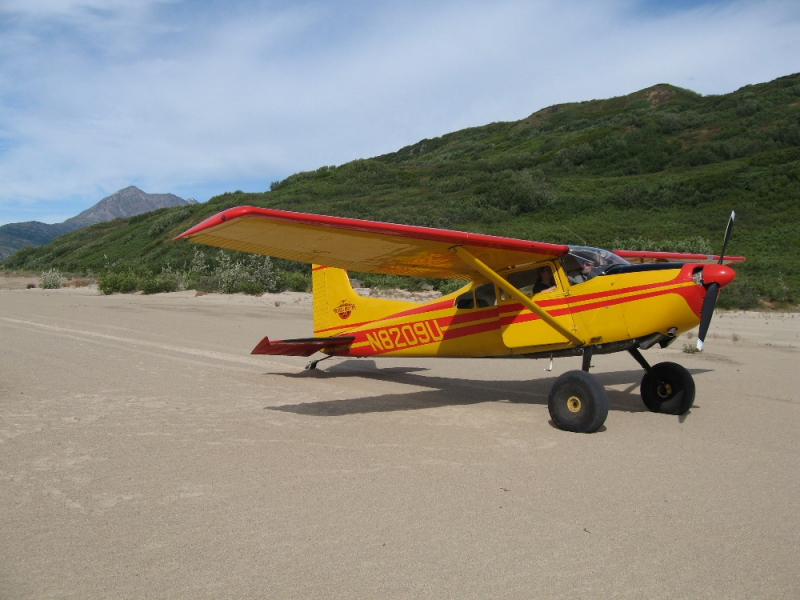 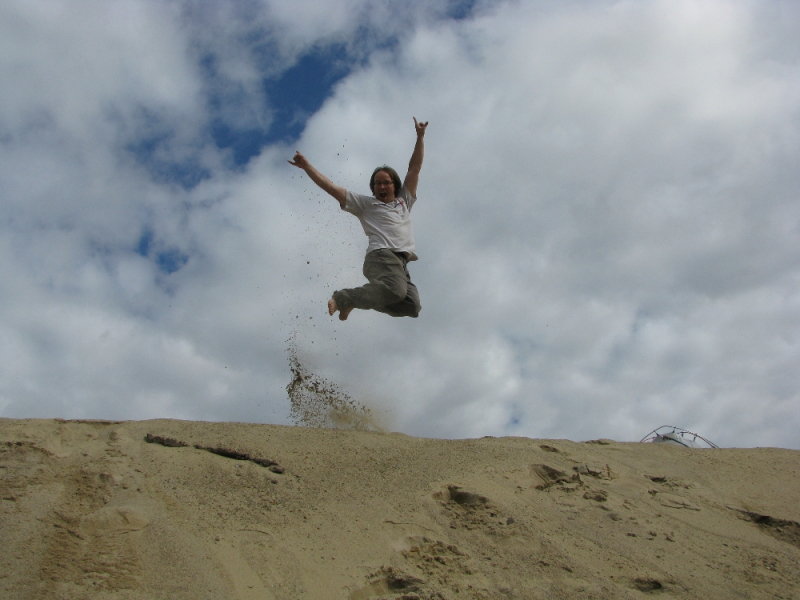 Your flight there crosses the vast Chitina River and dives into the mountains for spectacular views of alpine lakes, rivers and glaciers on the way to your final destination. 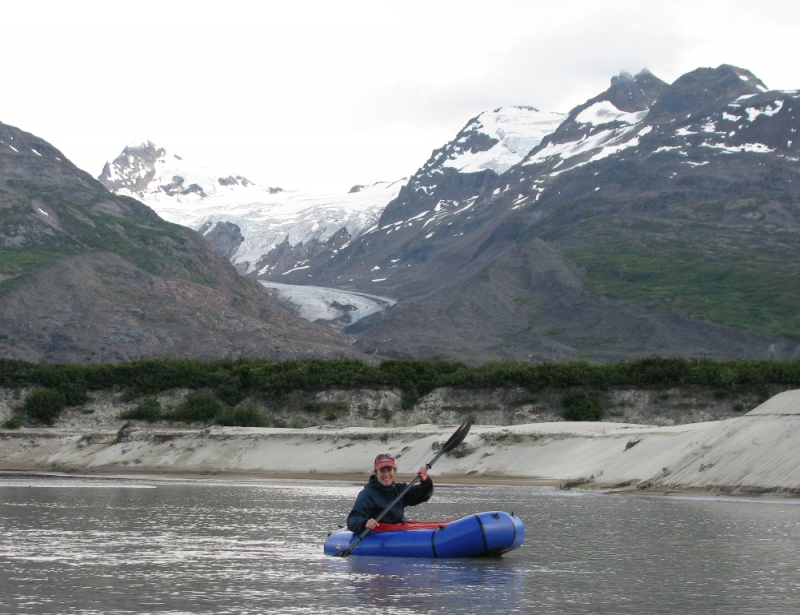 When you and your guide land, you’ll be surrounded by 2 major glaciers and several smaller onces that pour out of the ridges above. 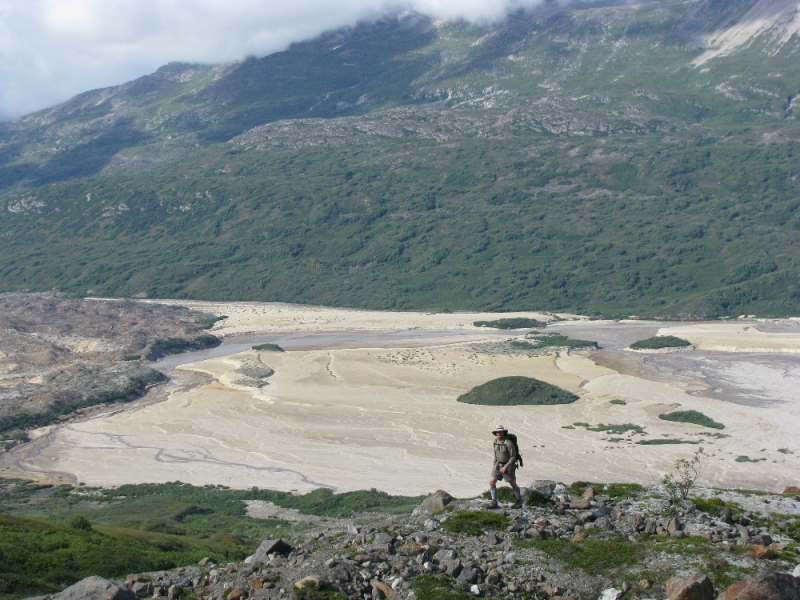 The landscape at the Fan is other-worldly: Sand, rock, ice and alpine swirling together to create just about every shape and color you can imagine. 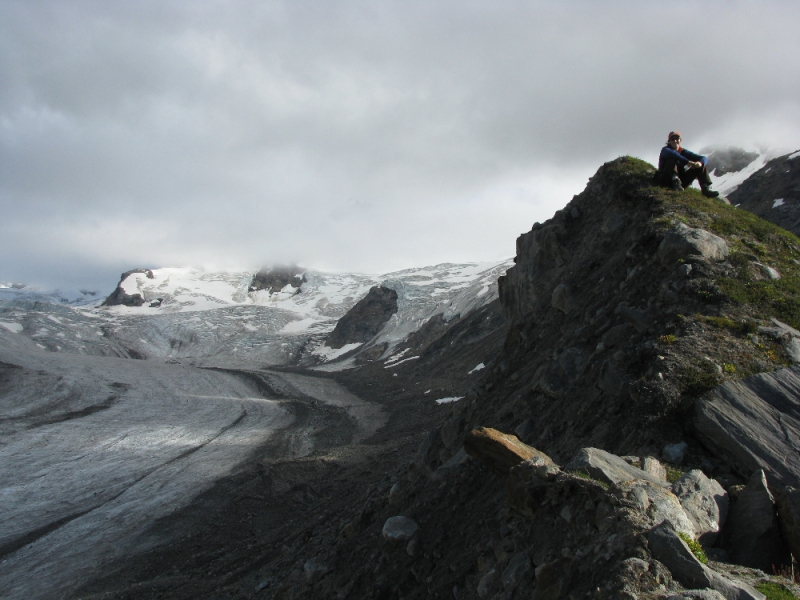 You can hike high up into the alpine next to a tumbling glacier for views down to the valley, or wander up the flats to the edge of the Bremner Glacier moraine. 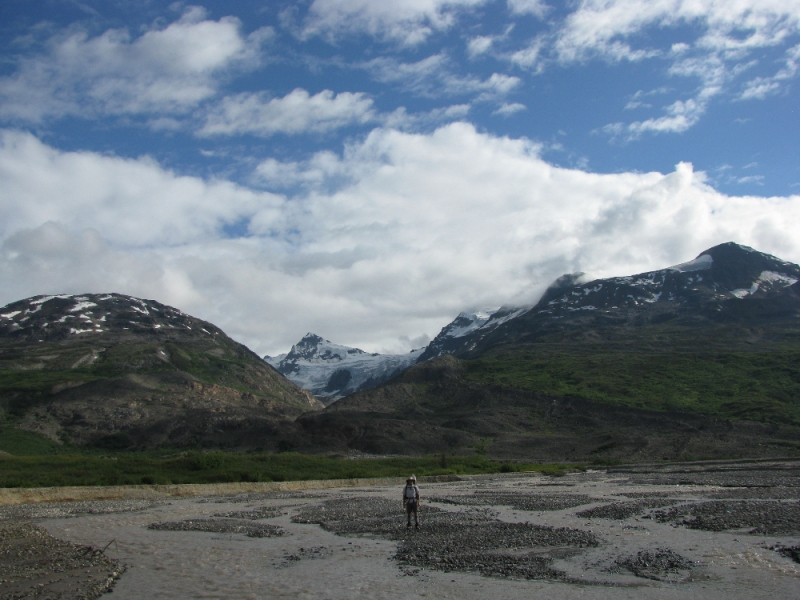 We commonly take packrafts or inflatable kayaks to the Fan Glacier, which allows us to cross the river to the north side where deep clear pools dot the rocks. 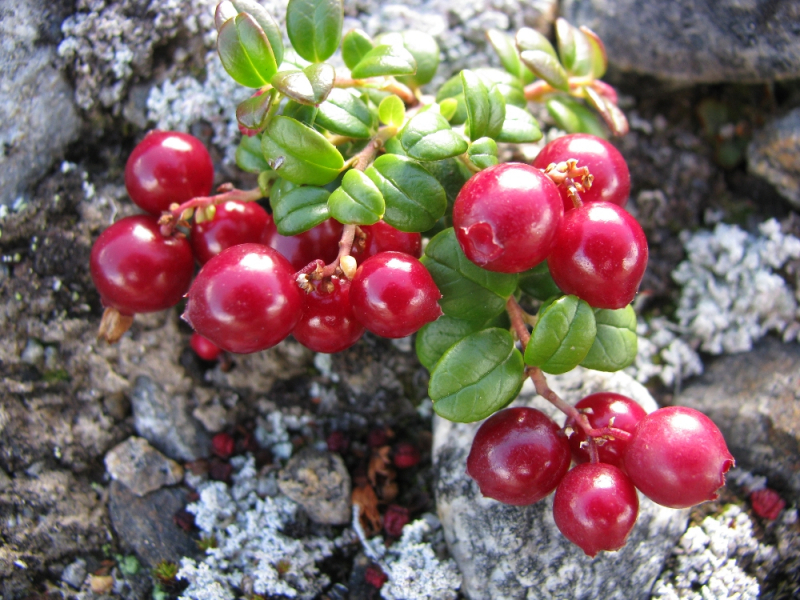 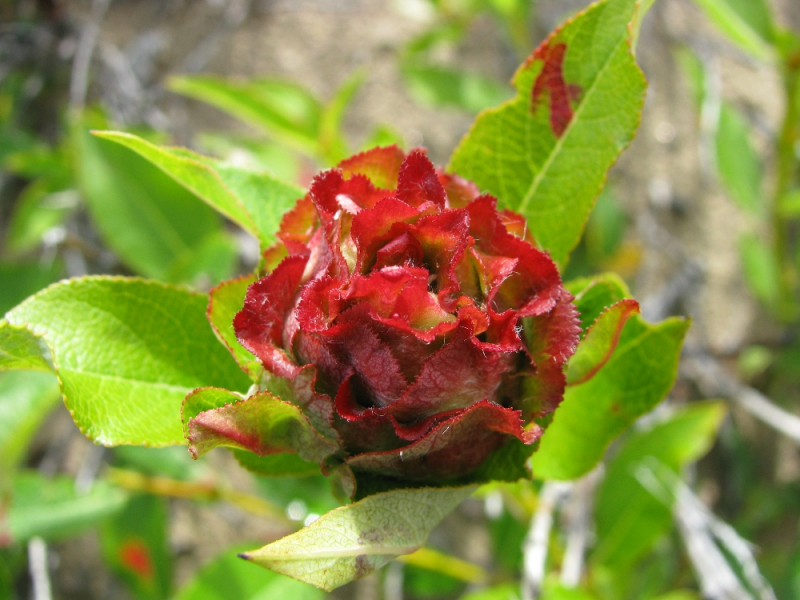 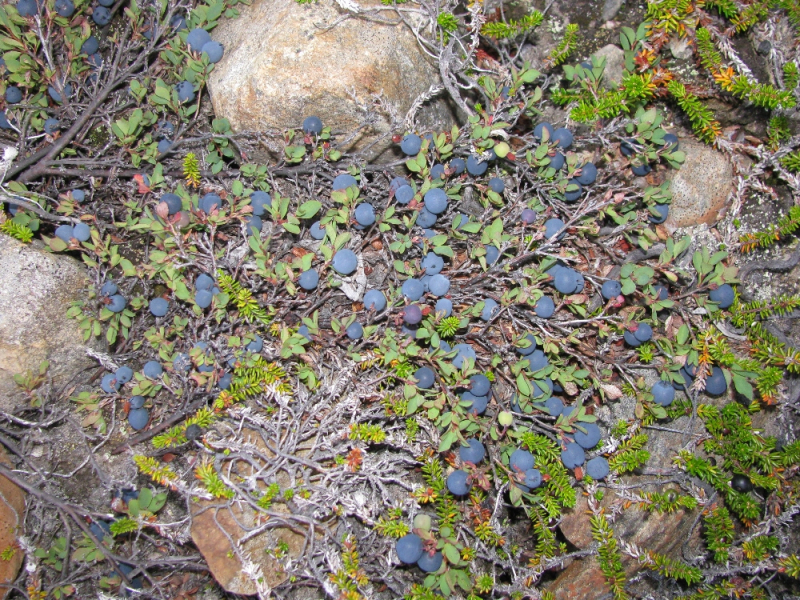 In late August and early September, the Fan Glacier is one the best spots for wild blueberries. 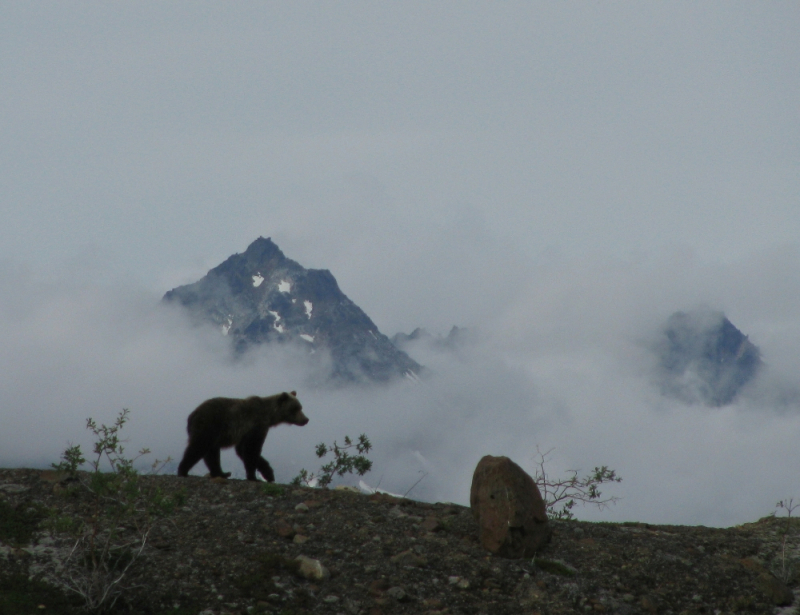 Keep your eyes out for wildlife – bears like the berries as well!